I've talked a lot around here about the importance of appreciating simple, everyday joys in my life. This blog was actually started (over five years ago!) after I'd taken some time off to travel and recoup following a big loss in my life, and was inspired by what I'd called "rediscovering my bliss." This bliss was (and is) an appreciation for everyday details and life's simple pleasures, and it continues to be a big part of my ongoing journey to be as healthy and happy as possible. 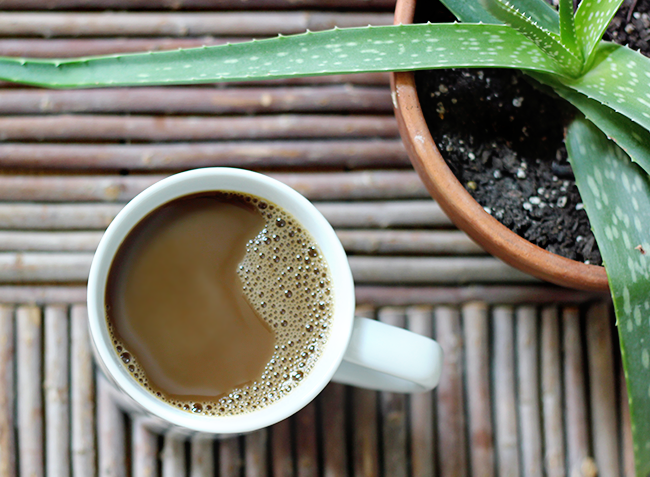 One of these everyday joys is my morning cup of coffee. Those of you who are regular or long-time readers know I am a dedicated, unwavering coffee fan - but it's more than the coffee itself that I love. 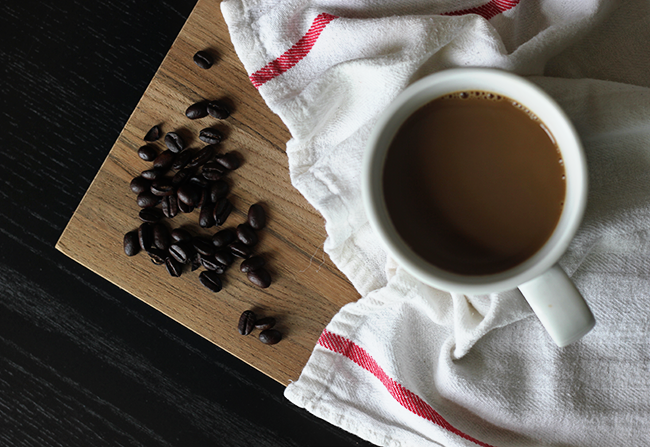 The ritual of preparing and enjoying a great cup of coffee, especially in the morning, is truly one of my favorite things in life. I'm not a morning person, but (aside from my very young, very loud children) there is nothing that gets me out of bed faster than the thought of making a pot of coffee - or if Robbie is home from the road and gets up first, the smell of it brewing. 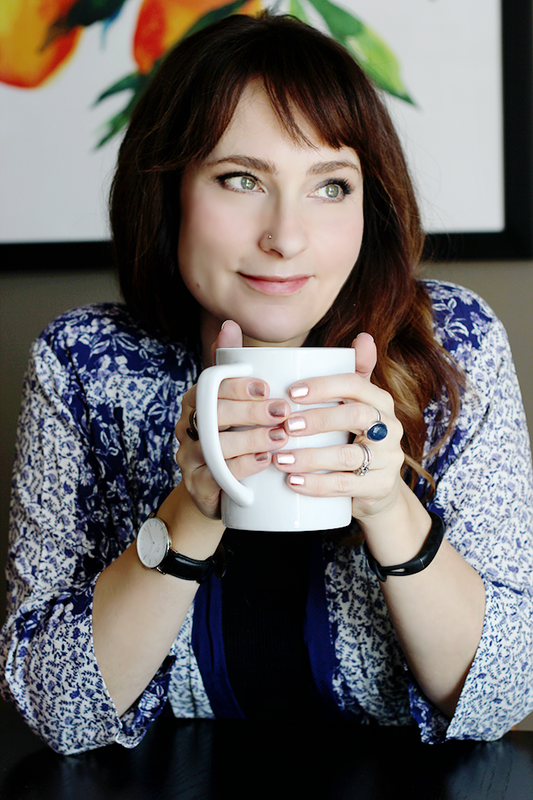 I started thinking about why I appreciate the ritual of making and drinking morning coffee on such a grand level, and I realized that it's because it's a very uncomplicated, almost effortless way to start my day on a positive note. For starters, as I said, it gets me out of bed and gets me going. But there is also something to be said for the way coffee affects all of my senses - I love the sound of the beans being poured into the grinder, the smell of them being freshly ground, the sight of that delectable liquid dripping down into the pot, the feeling of my hands around the warm coffee mug, and most importantly, the taste. Oh that taste! The entire process is enjoyable, and starting your day doing something you enjoy is key to the outcome of the rest of it. 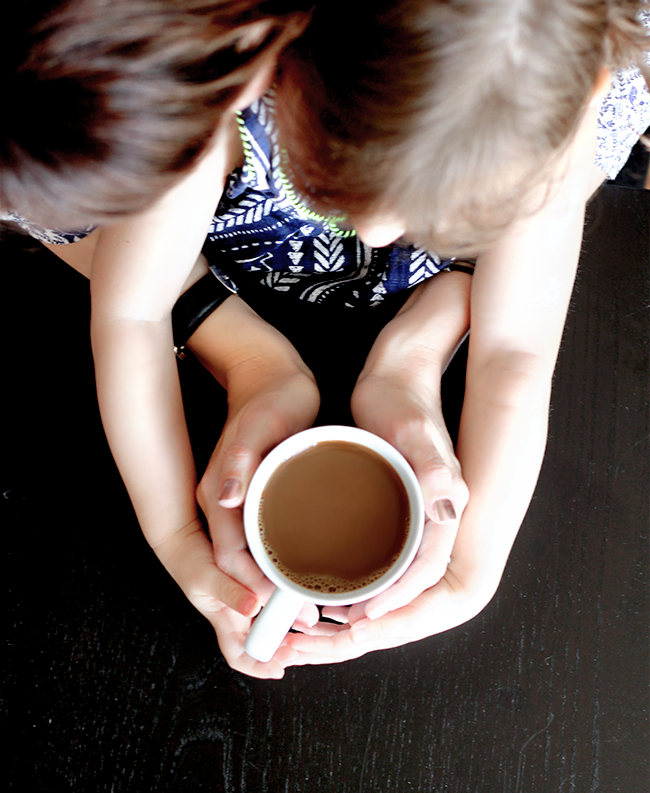 Our morning coffee ritual also means a few minutes of quality time together as a family when we're just waking up. It may be a short and sweet time period, but it makes a difference in our days. As for the coffee maker and coffee itself, we've been through a lot of them over the years, but we have discovered our favorites and they've become permanent fixtures in our house. Both Robbie and I love a good dark roast coffee made from organically grown beans - and we always use whole beans. 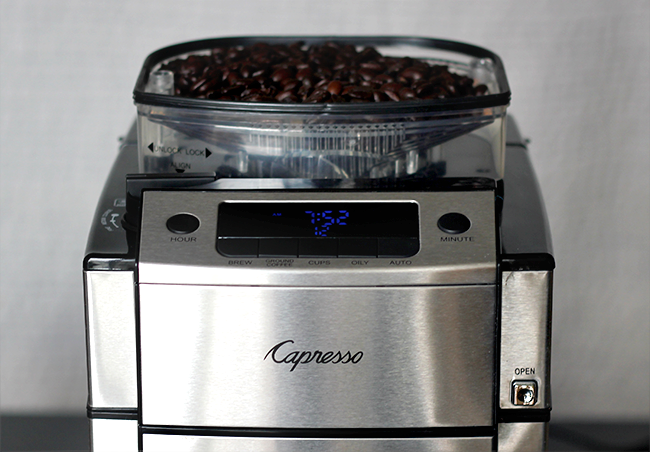 Our coffee maker is the CoffeeTEAM PRO Plus from Capresso. I can't even tell you guys what an insanely delicious pot of coffee this machine makes. My favorite part of it is the fact the grinder is built into the top, so we can pour in the beans, hit grind, and they're transferred directly to the filter and then to the carafe. Talk about fresh! (It also has a really cool two-step grind and clean process that ensures no beans and minimal grounds are left in the grinder.) Our CoffeeTEAM PRO Plus also has a bunch of different grind and cup settings and options so we're able to brew the exact pot of coffee we desire, but in a way that's not complicated (which is especially nice when we've just rolled out of bed and our brains aren't working yet). 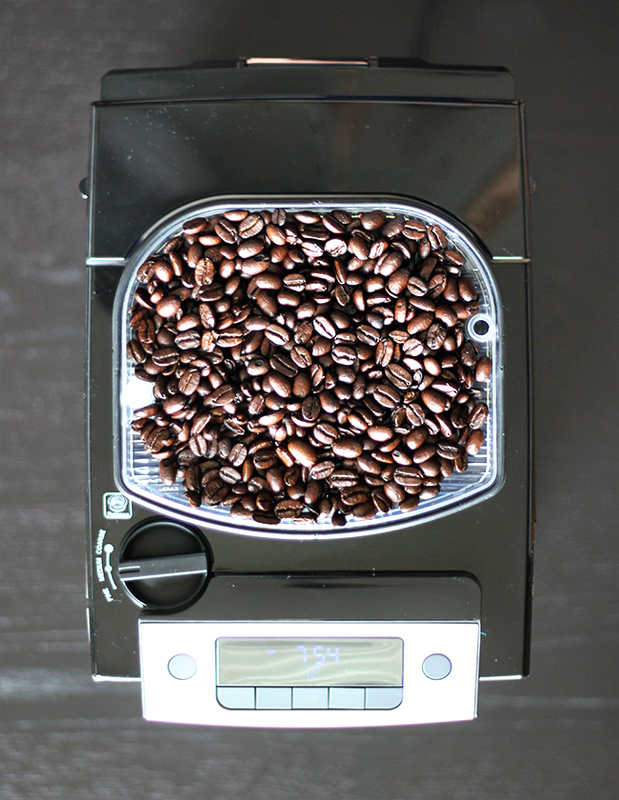 It even has an oily bean setting and a low-friction bean container that automatically compensates for slower feeding dark roasts. How cool is that? 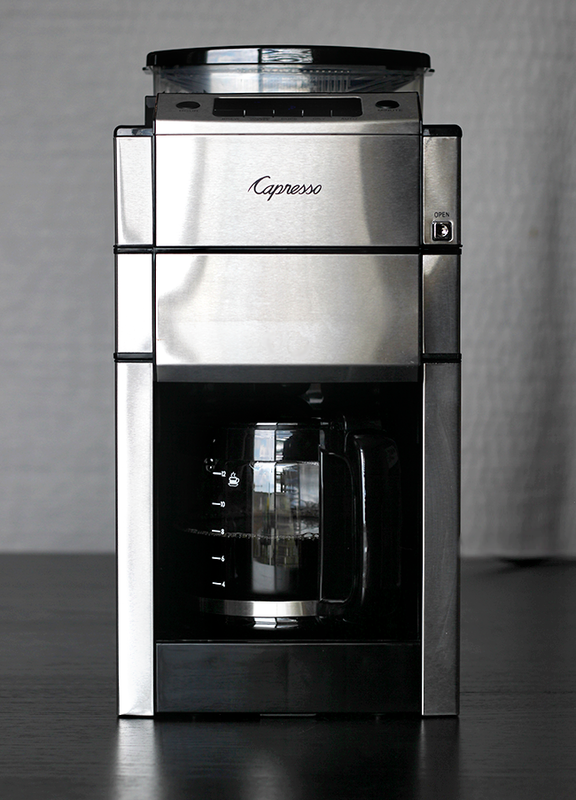 If you're a morning (or any time) coffee lover like I am and the market for a great coffee maker, I highly recommend checking out Capresso. 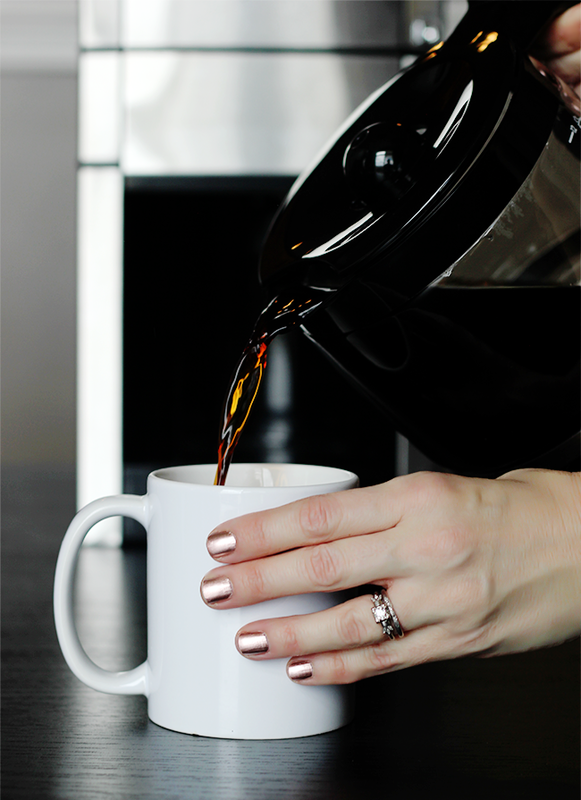 They make several different coffee makers, as well as espresso machines, grinders, ice tea makers and more. Who else is a die-hard coffee fan? 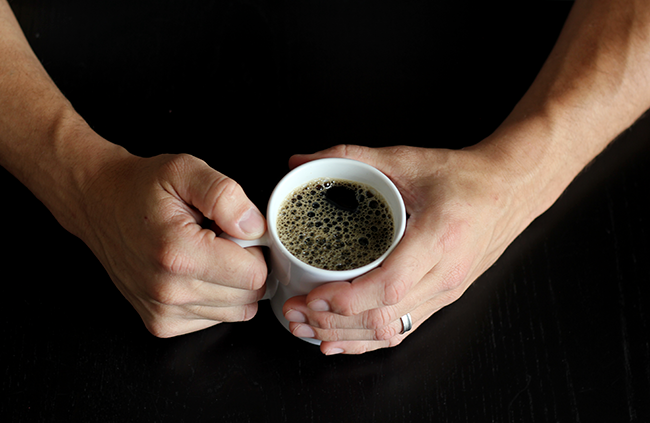 Is the morning coffee ritual one of the simple joys of your life like it is mine? This post is in partnership with Capresso. Thank you for supporting the brands that help make Bubby and Bean possible. I'm an early bird and prefer my first cup to be soothing tea, but I totally love the smell of freshly brewed coffee :) I usually drink it in the afternoons. Mmmmm...I love the smell of fresh coffee brewing! I start every morning with a big cup of coffee while I check emails and social media. Hi Melissa. I haven't visited the blog in a while. I don't know what your big loss was, probably you've told your story in this blog and I've yet to read it. I agree that finding bliss in the simple moments and being apreciative of them is where we can find peace. It is such a simple action yet so profound. I enjoyed your post. And I also enjoy my cup of Jo in the mornings, specially on Saturday mornings.